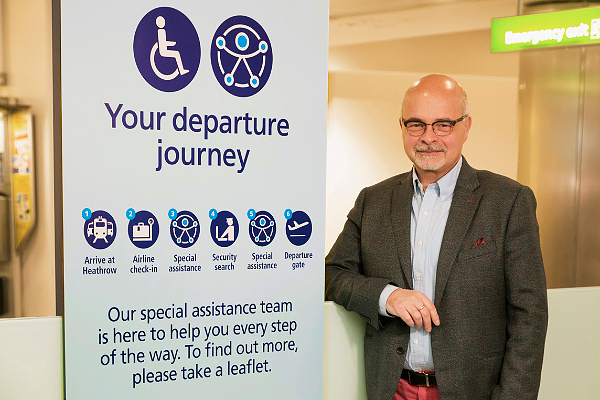 The HAAG’s key objective is to bring accessibility and inclusion at the forefront of Heathrow’s agenda. Its consumer-driven perspective is pivotal to help HAL make of Heathrow an inclusive environment that’s for everyone to use. Accessibility is, primarily, a cultural issue. Accepting that there is no such thing as a disabled person, but rather a person confronted by a disabling environment is the first step into a journey that sees everyone, without distinctions, integral part of the human landscape. Promoting accessibility in a pragmatic, goal-oriented fashion has always been at the center of my work with airlines, airports, National and International Regulators. I take great pride in seeing the same attitude in my esteemed colleagues of the Heathrow Access Advisory Group. The HAAG meets quarterly and primarily discusses and advice HAL on all facilitation topics that affect the quality of the passenger journey through the world’s seventh largest airport in passengers’ numbers.